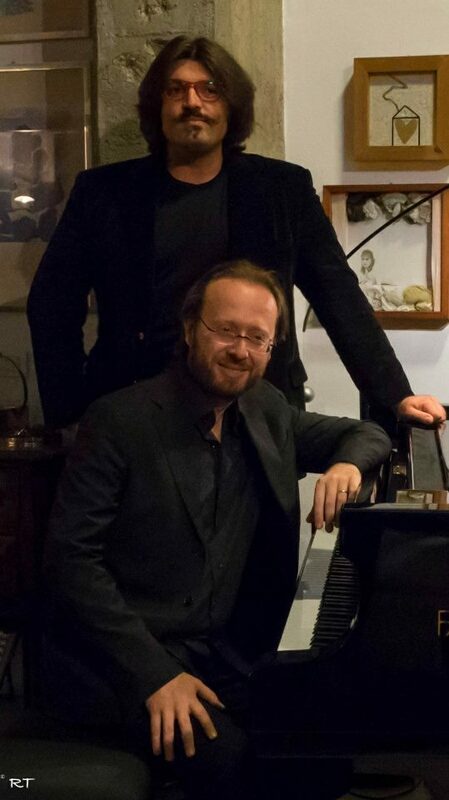 Recently, Victoria Memorial Hall and Italian Embassy Cultural Centre, New Delhi organised a musical evening of Italian Classics by Marcello Nardis - tenor and Roberto Prosseda - piano at Western Quadrangle of Victoria Memorial Hall, Kolkata. Being already recognized as an established pianist, Marcello Nardis made his debut as a tenor in 2003, singing for Pope John Paul II on the occasion of the World Youth Day (Canada). Since then he has collaborated with internationally renowned artists such as Chung, Inbal, Luisi, Mehta, Muti, Pešek, Rousset, Savall, Steinberg, Zagrosek, Badura-Skoda, Campanella, Canino, Ciccolini, etc. and has sung at Teatro alla Scala in Milan, Accademia Nazionale di Santa Cecilia in Rome, Teatro La Fenice in Venice, Teatro di San Carlo in Naples, Teatro Carlo Felice in Genoa, Teatro Massimo in Palermo, Maggio Musicale Fiorentino, Accademia Chigiana in Siena, Teatre del Liceu in Barcelona and Salzburg and Ravenna Festival, amongst others. Mr Nardis, how did you become interested in music and opera? Any influences in your family? My grandmother was a great opera fan. She used to narrate to me great, magic stories to me as a child, combining Wagnerian memories and plots. This made me familiar with Lohengrin, Brunnhilde, Elsa, and Hans Sachs much more than with the Italian Tosca, Aïda, Rigoletto or Figaro. These 'poetic' contents already belonged to my childhood imagination when I really started my first musical adventure with the flute. I later on moved to piano with a great pianist and teacher named Rodolfo Caporali. He was an old gentleman and a brilliant pupil of a pupil of the last pupil of Chopin... Since I was a child I used to listen to sacred music, just to share moments of intimacy with my father: Gregorian chants, Machaud, Palestrina, Bach Motets and Passions. No opera. There was never opera, if not in my grandmother’s singing, when she tried to put her narrations into sound. I attended my first opera at the age of 12 and it changed my life. It was Nabucco at Caracalla: it was an enchanting performance. I became an avid opera listener, and a few months before my piano graduation in piano I started to play with singers. I used to suggest colors, dynamics, musical intentions, and the best way to transmit my ideas to the singers was… with my voice, singing myself. So I can say that singing was a direct consequence of playing together with singers. Who are your musical role models in terms of the tenor voice? A lot of artists, and not only tenors! Every artist can be a source of new learning. Pianists, Violinists, Cellists, Flutists can suggest a peculiar sense of the musical phrase, or how transmit some intentions. Even in this Indian tournée I had the honor to share the stage with a great pianist like Roberto. He is fantastic. Every concert with him has been a different experience: when he suggested a specific color in his playing, I took his color in my singing and vice versa. He gave me a lot of suggestions during his playing. Furthermore, he knows how to breathe “in unison”: this is the greatest quality for who works with singers. Music is made of intuitions, images: singing or playing means to “suspend” your mind as far as you can reach. Limiting the field of my inspiration to singers, I consider Callas more than a model: she is a real archetype. Of course, Lauri-Volpi, Miguel Fleta, Pavarotti, Kraus, my beloved Peter Schreier, Florez are some of my personal points of reference when it comes to tenors. I adore Cecilia Bartoli who taught me a lot! Which composer do you consider closest to your heart and why? Mozart is always a deep experience for the soul: you can feel touched by the hand of the Lord. I adore Bach and Händel, Rameau, Couperin, and the Italian repertoire known as Scuola Napoletana: Leo, Porpora, Scarlatti, Pergolesi, Vinci, Jommelli and many others; they wrote gorgeous pages in their operas, intermezzi and sacred music. Can you tell us about your experience of singing for Pope John Paul II? It was a great and unexpected occasion, a challenge: I was coming back to Europe after my very first tournée when I received this offer. I had no time to decide when I realized I would have sung for the Holy Father and thousands of people. Today I can say that I had no time to understand exactly what was happening to me, and what kind of milestone was being set in my human and artistic life. What is the most important element of vocal technique? Certainly a lot of single factors need to be combined when trying to get the most compete result: breath, focus of the sound, projection... one cannot go without the other, and no artistic performance can be sustained unless all of these elements are present at the same time and in the correct ratio. How has a career in opera impacted your life? As I am used to say, I consider myself as “a man who sings”, but I dislike to be labeled as "a singer": we have a lot of different attitudes that we can express in our life, so many forms of art, poetry, taste... A life truly and deeply devoted to music cannot be fully expressed solely through singing. It needs other stimulation's and it has to draw inspiration from the most varied cultural fields. Obviously singing opera requires a lot of dedication and a particular hygienic style: just like a sportsman, a singer has to pay attention to several risks. What would be your word of advice for aspiring tenor singers? Consider your singing as a starting point, and not as a final destination. Through singing you can (you should, in fact) discover a lot of different contents of life. Don't use your entire career focusing on reaching the highest notes... don't aim all your energy on your own voice: the voice is a mean, not a goal. Roberto Prosseda is one of the most important Italian pianists of his generation. His dedication to the piano music of Felix Mendelssohn, including recording the Piano Concerto No. 3 with the Gewandhaus Orchestra and Riccardo Chailly, have won much acclaim in the press. In2014, Prosseda completed his 10-year project of recording all of Mendelssohn’s piano works for Decca on 9 CDs. In 2010, Deutsche Gramophon selected twelve recordings by Prosseda to add to the box set, “Classic Gold”. Roberto Prosseda has performed regularly with some of the world’s most important orchestras and conductors. He has now embarked on a project to record all of Mozart’s piano sonatas and also to revive the pedal piano which was popular in the time of Gounod, Liszt and Alkan. Mr Prosseda, when did you know the piano would be your life? I started playing the piano at two year-old. I soon felt that it was extremely natural for me to make music through the piano. But I would say that music is my life: the piano is just an “instrument” to make music alive. Tell us about your philosophy as a pianist? In these days I am writing a book about this question! It is hard to synthesize it in few words. I can just say that I like to share the intense feelings that are in the music with other people, and being a concert pianist allows me to fulfill this wish. Sharing beauty and communicating with other people's souls is a great privilege and helps us to live better, in a more intense and natural way. What are some of the favorite all-time pieces you have performed? My repertoire includes more than 1.000 compositions from Bach to contemporary works, written in 2016. Among the most popular pieces, I often play Mozart's Turkish March, which I just recorded for Decca, within my 6 CD's project dedicated to Mozart's complete Piano Sonatas. I often play Chopin's Nocturnes, which are perfectly written for the piano and its resonances. And on YouTube you can also find my own rendition of Beethoven’s “Für Elise”: a piece which is extremely famous, and maybe a bit overrated, but today's it is rarely performed by professional pianists. What led you to dedicate the early part of your career to the discovery of piano works by several neglected Italian composers, such as Antonio Salieri, Gioachino Rossini and Roffredo Caetani? I feel that the mission of a performing musician is also to rediscover and promote music which deserves a better divulgation. The piano repertoire is very wide, yet many pianists only focus on the mainstream pieces. 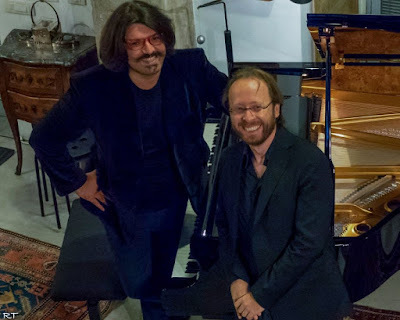 I find very exciting to bring new light to the unjustly neglected compositions, and the piano music of Italian composers, as the ones above mentioned, certainly deserves more performances and recordings. When I perform abroad, I often try to include some Italian pieces in my concerts programs. 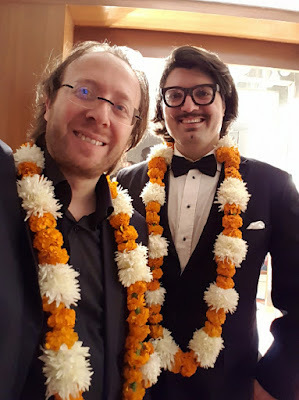 The concerts that I just gave in India with Marcello Nardis were a very good example of promotion of Italian music, and the enthusiastic response of the audiences was a great joy for us. Teotronico is a standout robotic musician with a good ear for classical. Could you elaborate more on the lecture-concerts you conducted with robot pianist TeoTronico? I conceived the project with TeoTronico to explain the complexity of classical music to new audiences. The format is a “Piano battle: Robot pianist vs. Human pianist”, in order to show the importance of the human expression in music, which cannot be replaced by any form of automatic or electronic reproduction of the score. Today many young listeners are used only to the midi or digital reproduction of music, and they risk to loose the sensitivity to percept the most subtle nuances, and their meaning in term of emotions and feelings. I think that every artist should do his best to help the audience to a deeper awareness of musical appreciation. Could you share with us the activities undertaken by "Donatori di Musica? Donatori di Musica is a network of musicians, doctors and volunteers, born in Italy 2007, which organizes concert seasons in oncology departments of Italian hospitals. This is a path which I feel very important and hope that will be shared by many others musicians. www.donatoridimusica.it. Music is able to improve ourselves, to take out the best of us, to produce a positive circle of good energies. That is why I cannot stop making music. Mr Nardis, Mr Prosseda, let’s talk about your duo: what is the main focus of your artistic research, and what differentiates your approach from other ensembles? 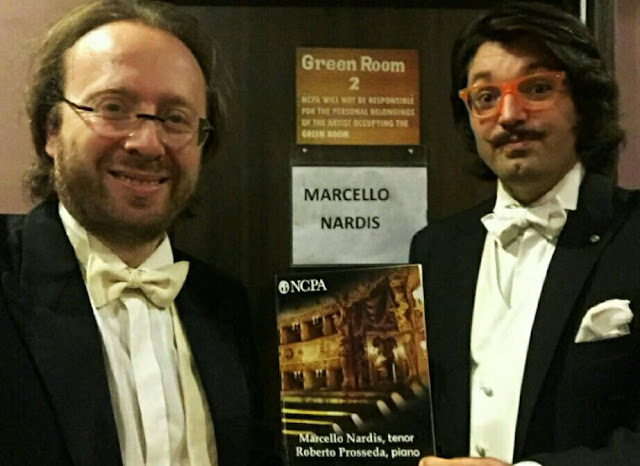 Marcello Nardis: There are two basic aspects that Roberto and I share in our musicianship: being chamber musicians and being Italian. What we strive to do is to incorporate these elements in our performances, by combining the value of our professional experience with the heritage that comes with our artistic identity. “Italy” is written all over the birth certificate of opera, but the supremacy of melodrama in the Italian culture shouldn’t cast a cloud of forgetfulness over the precious vocal chamber repertoire that blossomed in the country. The program we performed in India and that we plan to present during our next international tours as well, aims to the rediscovery of this repertoire: Roberto’s first-class experience as a chamber pianist and my expertise in the Lieder and chamber song field appear to create an ideal environment to highlight the worth of this music – that, besides deserving international exposure, still needs to be deeply explored even in its home country. Roberto Prosseda: Since I was very young, I have always been a passionate advocate of Italian instrumental music. My first CD recording was dedicated to Goffredo Petrassi, and the second to Luigi Dallapiccola (Naxos). I feel that for an Italian musician it is important to promote the great composers of our country, and in particular the lesser known repertoire. For this reason, I very much believe in this new project with Marcello Nardis, dedicated to the vocal chamber music by Italian great composers. I am especially happy to rediscover and divulge a very refined repertoire, which is unjustly neglected still today, often ignored also by the great Italian singers. Marcello is the perfect partner for this mission, as he has a great humanistic culture and a wide experience both in opera and in vocal chamber music, also in German Lieder repertoire. This makes him an ideal interpreter for this music, as he gives it the right noblesse and finesse, with a full palette of nuances. His interpretations show that these works are gems of poetry, which deserve a worldwide promotion and appreciation. Citizen of the World speaks from Experience.